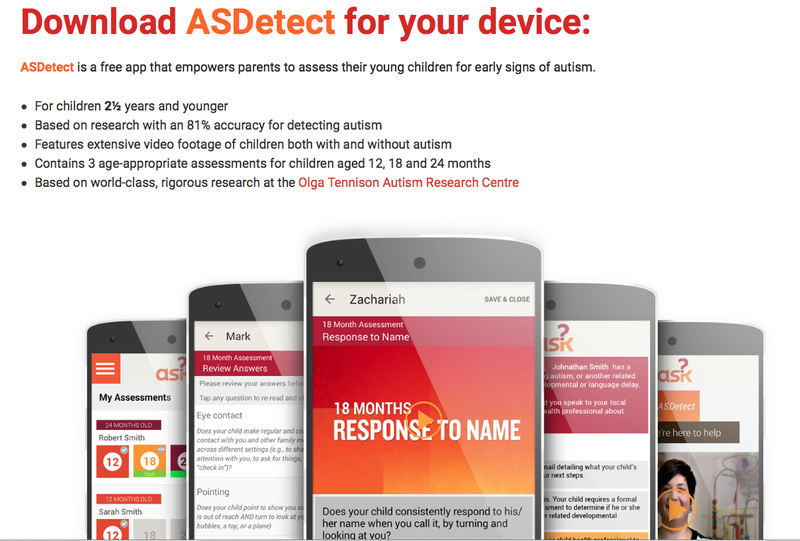 ASDetect is a free app that empowers parents and caregivers to assess the social attention and communication behaviours of their children younger than 2½ years. 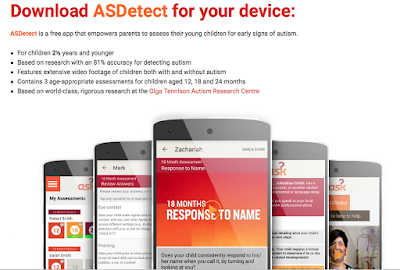 This video-led self-assessment app is based on comprehensive, rigorous, world-class research conducted at the Olga Tennison Autism Research Centre. The research underlying this app has proven 81% accurate in the early detection of autism and other related developmental conditions. ASDetect guides parents through each assessment using a combination of videos and questions, as well as activities that you can do with your child. Each assessment will take between 20 and 30 minutes to complete.